No time for a real post, I’m afraid. November is my crunch month, and we are right in the thick of it. I’m not even doing NaNoWriMo; it’s just that a lot of major things have deadlines now/very soon. But a quick shout-out to my pal Brandon Crilly, whose encouragement and mutual shaming is keeping me on track. 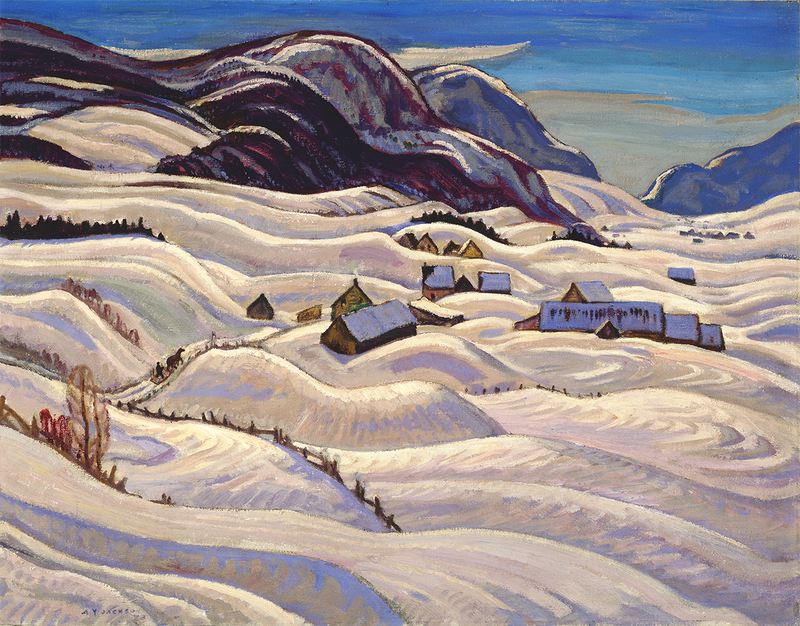 “Valley of the Gouffre River,” A.Y. Jackson (1935). 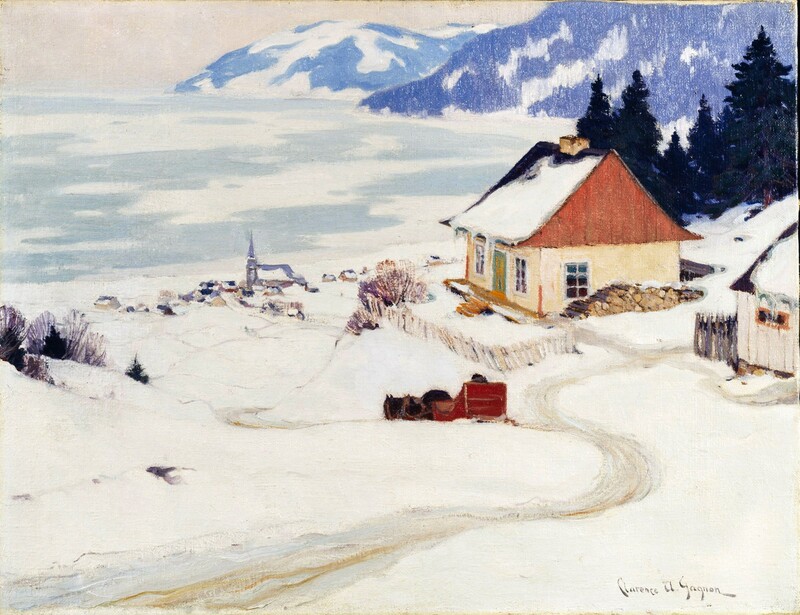 “La Carriole Rouge,” Clarence Gagnon (1924-1925). 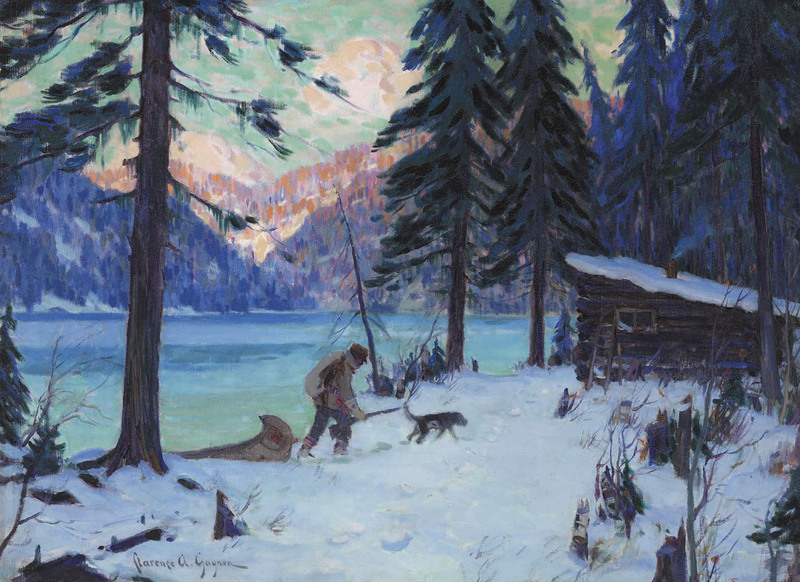 “The Trapper’s Return,” Clarence Gagnon (1909-1913). 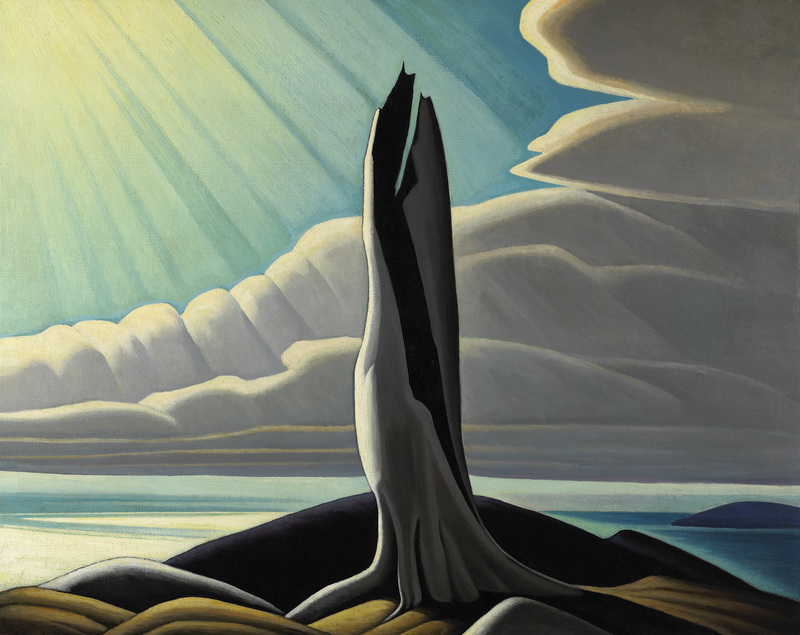 “North Shore, Lake Superior,” Lawren Harris (1926). 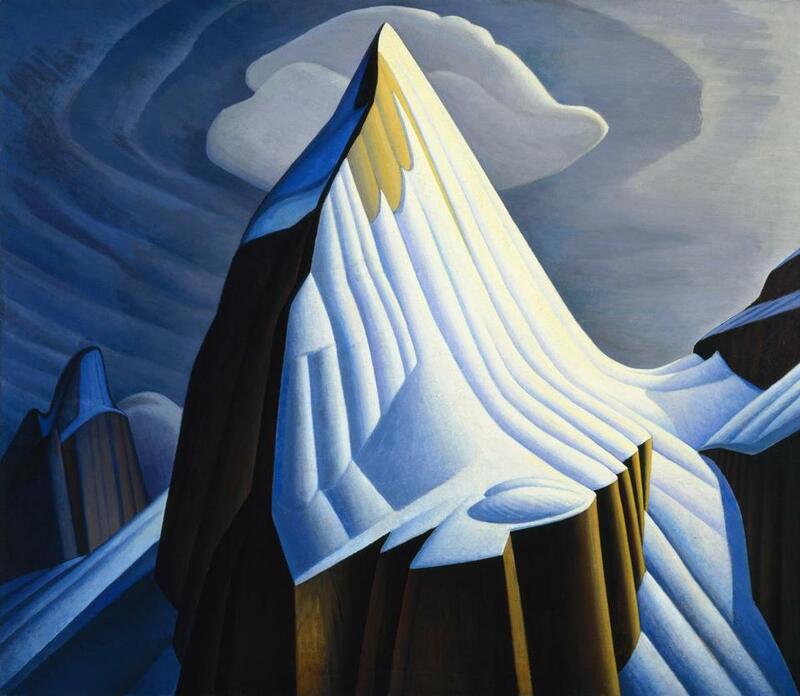 “Mt. 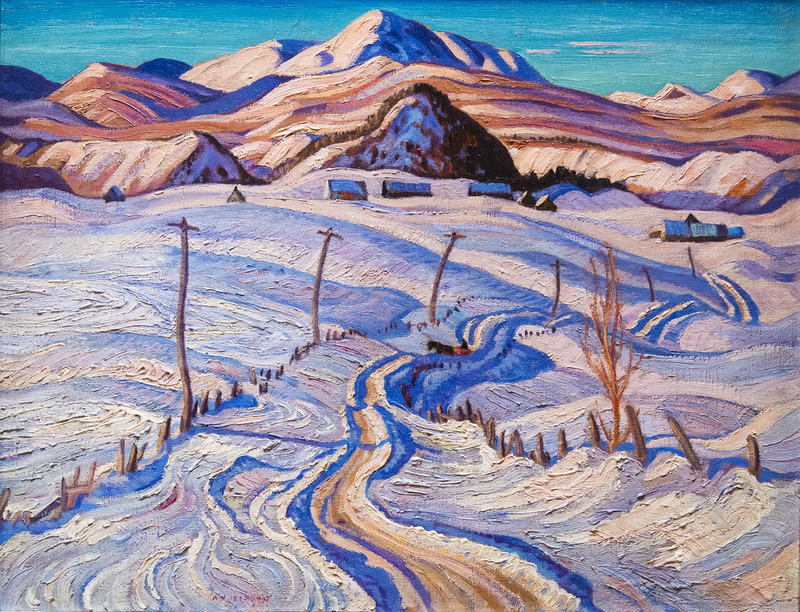 Lefroy,” by Lawren Harris (1930). Wildness surrounding wildness, Tenderness touching tenderness, It is your own core that you ceaselessly caress, … as they say. It is your own center that you caress, Your own reflection gives you light. And in this way, you show us how Narcissus is redeemed.